What does a i9 Sports Franchise Cost? As the first and largest youth sports league franchise company in the U.S., i9 Sports continues to reinvent the industry with its simple focus on putting fun back into the game. Our franchise owners offer youth sports leagues, camps and clinics for boys and girls ages 3-14 in today’s most popular sports such as flag football, soccer, basketball, T-ball and cheerleading. Open i9 Sports in any of these available states: AL, AZ, AR, CA, FL, IL, IN, KY, LA, MD, MI, MN, MO, NE, NV, NJ, NC, OH, SC, TN, TX, UT, VA, WA, WI. Research shows that kids play sports to have fun, and the number one reason they quit is because they stop enjoying it. i9 Sports franchise owners offer an alternative to the hyper-competitive, win-at-all-cost culture that pervades most youth sports programs today. 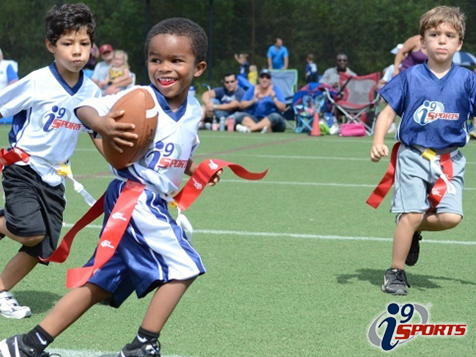 Through the i9 Sports experience, our franchisees offer a unique customer experience that focuses on fun, safety, and convenience. If you like kids and you like sports, why not build a business doing something you love? Home-Based business: Enjoy freedom, flexibility, and work/life balance. Low investment and low cost of entry: No real estate or upfront inventory expenses. Huge market potential: Built-in and sustainable demand for youth sports. Over 42 million kids play each year! Independence: Take control of your future and your career. Multiple potential revenue streams: Potential revenue streams from player entry fees, merchandise, concessions and more. Protected territory: Exclusive rights to run multiple sports at multiple locations in a protected area. Proprietary technology: Manage almost every facet of your business from your laptop. Unparalleled training and support: Outstanding classroom and in-field training. Continual coaching and support throughout the life of your franchise. Community impact: Make a difference in your community by helping kids and families. Venue Acquisition: Site selection analysis utilizing top of the line demographic mapping software. Multi-Unit Franchise at a Single-Unit price! Multiple venues in a protected territory give you larger growth opportunities! i9 Sports is seeking business owners like you! But a commitment to superior customer service is! Proven ability to delegate and manage. Highly self-motivated with a desire to succeed! MAKE A LIVING DOING SOMETHING YOU LOVE! Easy Start-Up – Low start-up costs plus classroom training, field visit in your territory, and step-by-step “Countdown To Game Time™” will get you up and running fast! Award Winning Support – Your dedicated Franchise Support Coach and team of industry experts will assist you every step of the way! In fact, The Franchise Business Review ranked us #4 among the best franchises (out of 300+) in Franchisee Satisfaction! Huge Industry – Over 100 million Americans play organized sports annually, yet the vast number of poorly organized local sport programs means there is tremendous opportunity! Exclusive Territory - Each franchise is protected with a generous size territory for potential long-term growth. Exclusive Sports – You’ll own 10 of the most popular team sports! Including: Flag Football, Basketball, Soccer, Lacrosse, Cheerleading, Baseball, Softball, Golf, Volleyball, and Hockey! Streamlined Administration - Almost every aspect of your franchise is managed using our proprietary Franchise Manager™ software program - from generating online registrations on your custom website and building team rosters, to managing and tracking your business, our software will manage nearly every facet of the business! Today, buying a franchise appears to be a choice between paying hundreds of thousands of dollars for a well established brand or paying much less for a young, unproven brand. Luckily, buying an i9 Sports franchise is a rare exception. 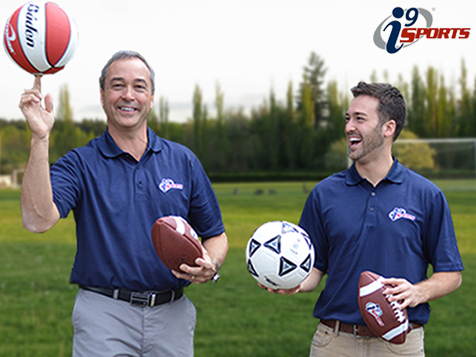 As an i9 Sports franchisee, an investment in a tenured brand ranges from $50,900 - $76,900! Not sure if you’ll have cash required upfront? That's okay! We work with third party lenders to help you secure outside funding. You probably have an understanding of youth sports stemming from your experiences as a child or from your experiences as a spectator. What you don’t yet understand is how to make money running a youth sports program. This is where we come in. At i9 Sports we have divided our training into four phases throughout a 12 month period designed to give you the information you need, at the time you need it. Our training includes a combination of face-to-face classroom training, webinars, and on-location training. A territory segmentation analysis to help you determine where to concentrate your marketing. In subsequent phases you will focus on preparing for and executing your opening day, setting up your fields and courts, communicating with customers, building rosters and schedules, how to staff, optimizing your customer satisfaction, fine tuning your marketing, and how to effectively expand your business. What is the best part about owning an i9 Sports franchise? 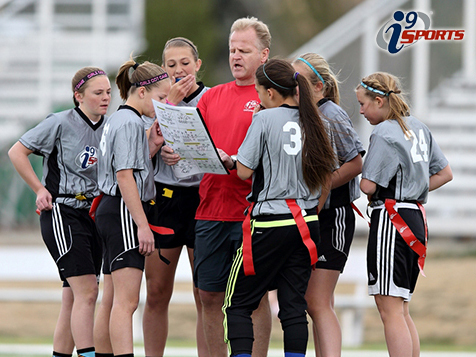 How has owning an i9 Sports franchise helped you reach your financial goals? What support have you received from the home office that has made a big difference in your results? "The best feeling is opening day when you see the looks on the kids faces, parents having a good time, and you see all of your hard work from the last few months finally pay off."